Who be The Voice for this Season? The final moments continues to unfold in the Resorts World Manila on March 1, 2015. 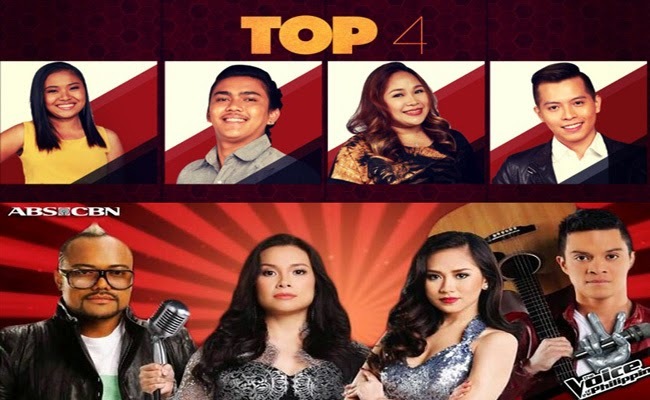 The final rounds in the final showdown is a duet with their respective coaches, will they acquire more votes to win in The Voice of the Philippines? Leah shared how blessed she was being with Lea Salonga as her coach. Lea knew how to build her up and how to address the fears she sees in her prodigy. Singing ‘If I were a Boy’ in duets, Leah and Lea seemed to be destined to perform together. Jason was known as the ‘Haranista’ heartthrob and as Sarah shared, even at the beginning of the competition, he had already showed the rare talent to connect with people.. Jason shared that he had learned a lot from Sarah. She was able to emphasize the importance of connecting with the hearts of the listeners. Sarah shared that Jason now has a wider vision and he indeed has the ability to be a great singer. Sarah and Jason sung a duet of ‘If I Aint Got You’ and shared a hug in the end as the audience cheered for them. Known as the ‘Biritera ng Bangketa’, Alisah shared that she lacked the courage. Apl said that she also lacked emotions. She needed to improve her ability to express the song’s message to the listeners and also learn to move without awkwardness on the stage. The coach says that he had already crowned her at the Blinds Audition and this time, she has to prove the nation that she deserves the title. Apl and Alisah sung ‘Hero’ mushed up with ‘I Can Do Anything’ to show how determined she is to win despite her roots of poverty. Bamboo shared that he never wanted Rence to change. Rence shared that he learned that he needed to put his heart in all he does and that’s what made things matter. Bamboo had been very supportive not only in his talent but also in his advocate to love OPM. Singing together ‘Hinahanap-hanap Kita’ in a duet, the two seemed to have owned the song and the stage. All four rounds for the finals are now over. Who will you vote for in the end?